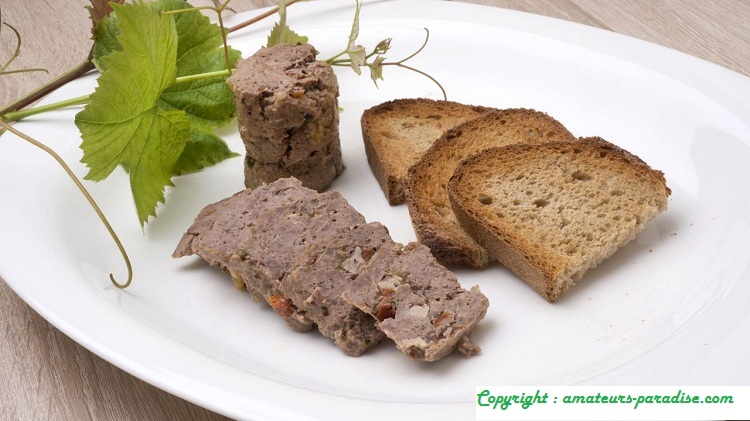 For Christmas, the new year, in family gatherings … we recommend a classic that does not fail: the country pate. We are faced with a tradition in French cuisine. 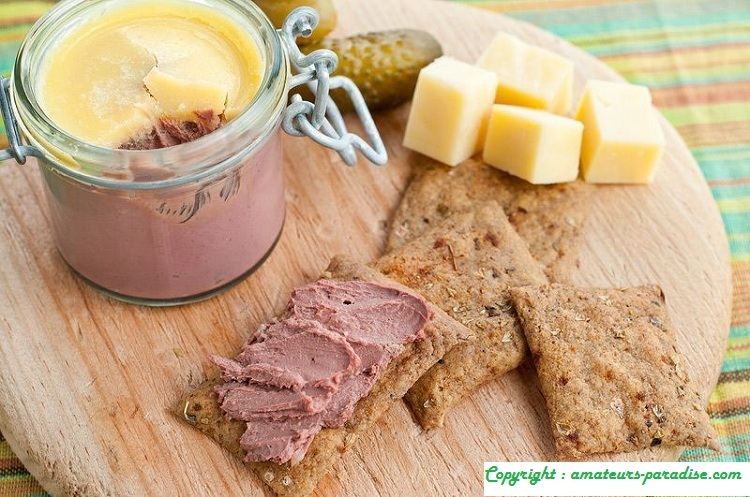 Today we tell you how to make a homemade pate and in your kitchen. First, we must mix the chopped livers with the cognac, the broth of the bird, the clove of garlic and the chopped shallots. To give more taste to the mixture, we will make a grand bouquet, which is achieved by tying the laurel, thyme, parsley and oregano with a cooking wire. Subsequently, we deposit it in the previous mixture and let it macerate all night. The next day, we can begin to cook properly. Introduce the mixture in a strainer to extract the liquid from the maceration and reserve. Next, we must proceed to saute the chopped shallots with the bacon of ham in a frying pan. We introduce in a bowl the chopped meats, chopped bacon, sauteed shallots and the cognac of maceration. After this step, we take a mold and cover the bottom with minced meat and we make a hollow in the center with a spoon. This hole should be filled with macerated liver. A delicious option is to cover the bottom and sides of the mold with bacon so that the terrine and the resulting recipes do is covered with strips of bacon. 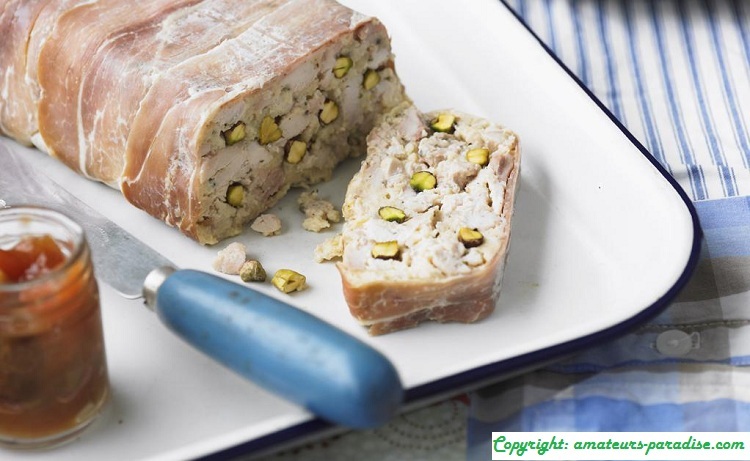 Cover the terrine and proceed to its cooking in the bath-style in the oven for 15 minutes at 200ºC. Then we lower the cooking to 160 degrees and let it cook for about two hours until the terrine has reached between 55 and 82 degrees, which we can measure thanks to a thermometer. Finally, when the cooking is finished, it is best to let the mixture stand for 20 minutes before storing it in the refrigerator. Finally, to serve, place it on a plate and cut it into slices, accompanied by a salad and. You have it! A healthy diet is a balanced and varied diet in which all groups of foods are present. The healthy recipe do not have to stop being unpalatable. In moderation, all foods are healthy. This dish has a laborious cooking but is a quality product and fits perfectly with these dates and with the traditional tastes of Christmas. Try this recipe to make Pâté Champagne and enjoy others, thanks to an exclusive and seasonal product.